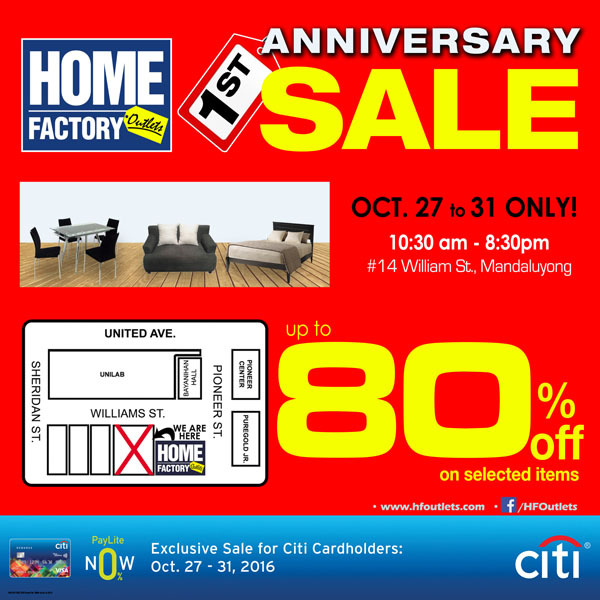 Home Factory Outlets (HFO) is celebrating its First Anniversary with a BIG SALE. This will happen from October 27-31, 2016 at #14 Williams Street, Brgy. Highway Hills, Mandaluyong City. This home paradise is open daily from 10:30 am - 8:30 pm but you just have to mark your calendar for this 5-day sale. Before I tell you why, let me tell you something about HFO. What is the Home Factory Outlets? The Home Factory Outlets or HFO is the country's pioneer mall designed to cater factory overstocks, floor models, and great finds at up to 60% discount daily. This 3,000 sq. 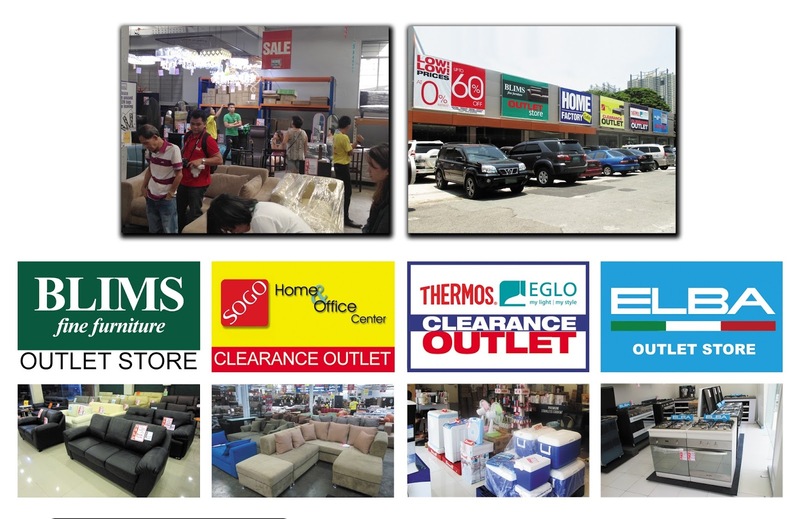 meter concept mall offers sofas, dining, beds, mattresses, office furniture, furnishings, housewares, and home appliances from participating retailers like BLIMS Fine Furniture Outlet Store, Sogo Home and Office Center Clearance Outlet, Elba Outlet Store and Collins International Trading Corp. Outlet Store which carry brands such as Dowell, Thermos, Moulinex, Krups, and Eglo Lights among others. What is HFO Offering on Its First Anniversary? Prepare your home shopping list and tick them off one by one as you spot irresistible offers on your visit to the HFO Anniversary Sale. There is no worry about overspending as you complete your wish list for your home. Since HFO's opening last year, customers have been getting incredible deals. In such a short time, it has proven to be a preferred shopping destination of bargain hunters looking out to make some beautiful changes in their homes or offices. It promises not to disappoint. It's the time of the year again where most of us are preparing our homes for the holidays. It is possible that we would be seeing items that would need replacement or it might be time to consider furnishings not previously needed. Homes evolve with time so what we put into it would depend on the present needs of the occupants. That said, we need not spend more than what is necessary. 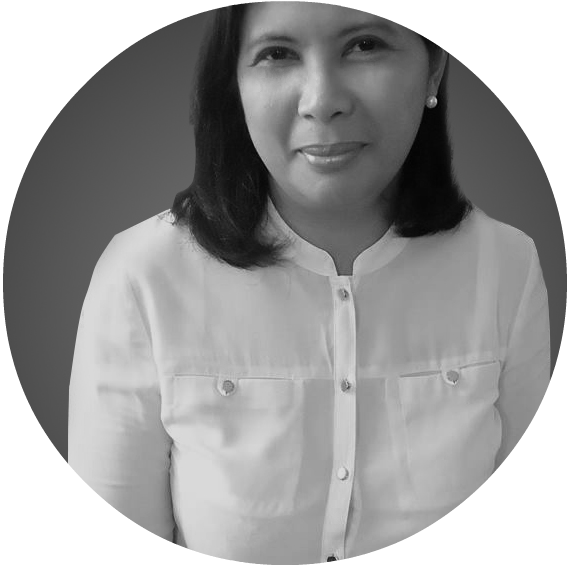 We just need to determine what we need and find the best deals available in the market. For home and office furnishing needs, HFO will show you the way. I've learned this sale because Citibank sent newsletter. Too bad, we live outside NCR so we could not take advantage of this sale. Tempting! It has great deals and near lang! Interesting factory sale! True, nakakatempt sya. haha. I will see if there's a need for me to go and buy some household stuff. So far, wala namang need talaga bilhin, but I will see. I agree to what you've said "just buy what you need and look for best deal in the market"
If only we have a car, I surely will be dropping by here at home factory outlets! I am looking forward to buying a new, smaller sofa kasi. Sayang! If I am not buntis right now, I'd be insisting kay husband. Ang laki ng 80% discount, ha? For sure, sulit ang mga mabibili if ever. This is great, I need to buy my parents new bed and matress. Thanks for sharing. What perfect timing! We need a new sofa right now, and HFO is near us. Thanks for the heads-up! I wish I learned about this earlier! We just bought a new sofa bed a few weeks ago. It was on sale too actually but the sale here at Home Factory seems to be a lot better. Wow! Ang dami talagang sale lately. Uy sayang, don't they have a Davao branch? Haha! The deals sound amazing, especially the 80% off and buy 1 take 1 - my kind of sale talaga! We've been to the home factory sale late year. And my mom was able to buy a number of appliances for raffle and giveaways. She was so happy as she repeatedly mentioned the prices were almost 50%. Sadly this year, we weren't able to visit as my mom was kinda busy with her paper filing. Awww...tapos na sya! Would've loved to look around and maybe find something worth spending on! sayang! Sayang tapos na, it was a great deal. I wish to learn how to bake and looking for oven pa naman. Planning for some replacements for our old furniture. Thanks for the idea on where to find good furniture with the right price. Looks like I missed it.Will wait na lang for another sale.